sustaining low oxygen levels, preventing oxygen depletion, improving combustion efficiency and fire suppression. That’s where SST Sensing Ltd comes in with their zirconium dioxide oxygen sensors. A range of stainless steel housing styles, cabling and electrical connections are available. 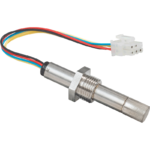 The oxygen sensors come standalone or with integrated electronics offering digital or analogue industry standard outputs. Unlike other technologies, their long operating life is due to the non-depleting sensor cell technology. Their ability to function in wide oxygen measuring ranges, operating temperatures and high pressure environments results in a rugged, robust and reliable sensor that is RoHS compliant. How does SST’s Zirconia Oxygen Sensors Work? Zirconia oxygen sensors from SST Sensing Ltd use a unique closed-loop measurement system. While the sensor continuously measures the oxygen level, a heartbeat signal is also generated, providing an immediate warning of any failure. SST’s oxygen sensors are used around the world. Reducing oxygen in a controlled atmosphere prolongs the life of perishables during transportation. Suppressing oxygen levels in fuel tanks of airbus and boeing aircraft’s, eliminates the possibility of explosion or fire. Reducing pollution and harmful gases in industrial plants and maximising efficiency saving fuel costs and reducing emissions in industrial boilers. No matter where you are in the world, our engineers can work with you to help find the right sensing solution. 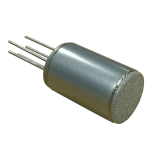 The Miniature Zirconium Dioxide Oxygen Sensors can be PCB mounted and are used when measuring ambient gas with the complete sensor immersed in the atmosphere which is to be measured. 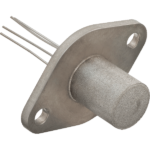 The Screwfit Range of zirconium dioxide oxygen sensors has a threaded probe design making it easy to install. Suitable for combustion control within industrial coal/oil/gas/biomass boilers, continuous emission monitoring systems and controlled atmosphere monitoring. 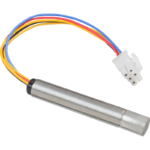 The Probe Range of zirconium dioxide oxygen sensors are available in three lengths. Suitable for aggressive and polluted applications such as boiler exhausts. Longer probes are an ideal solution for thicker walled, insulated flue pipes.